Did you know that there were women that fought in the Civil War? Usually when people think of the Civil War era they think of men fighting the war or blood baths. What about the Victorian era? Don’t you think of rich people and big houses? But what about the roles that women had during the civil war like nurses, spies, and even soldiers? Women are way more powerful than you actually think. The role of women changed as women migrated to the new nation of America. 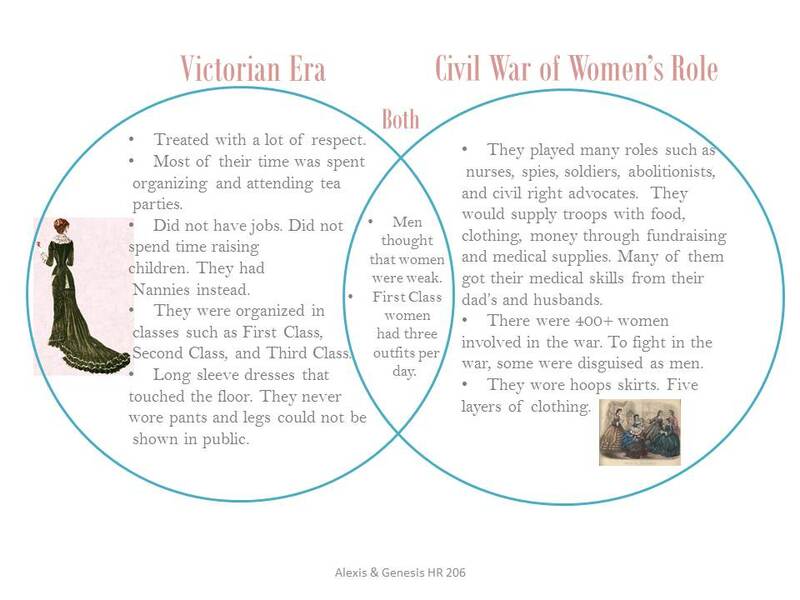 Below is our Venn Diagram that points out similariaties and differences between the Victorian woman and teh woman who came to America during the Cvil War time period. "Lit Craze!!" : Victorian Background. N.p., n.d. Web. 20 May 2013.